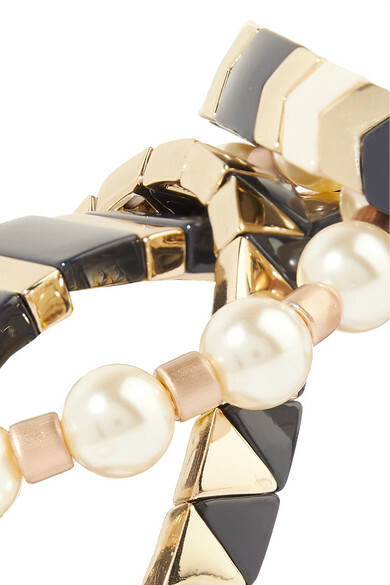 Roxanne Assoulin wants her jewelry to recapture the nostalgic feeling of trading friendship bracelets as a child, and describes them as real mood lifters. 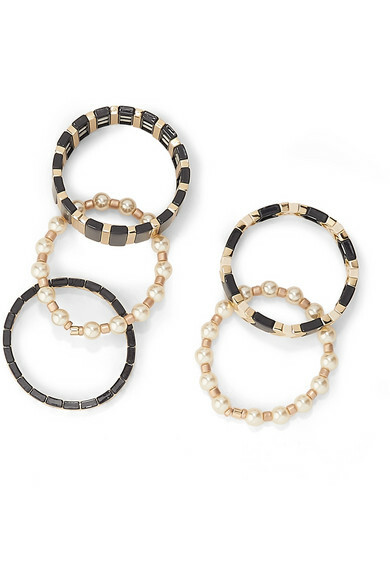 This ready-to-stack set includes five gold-tone bands decorated with black enamel beads and faux pearls in a tessellated pattern. 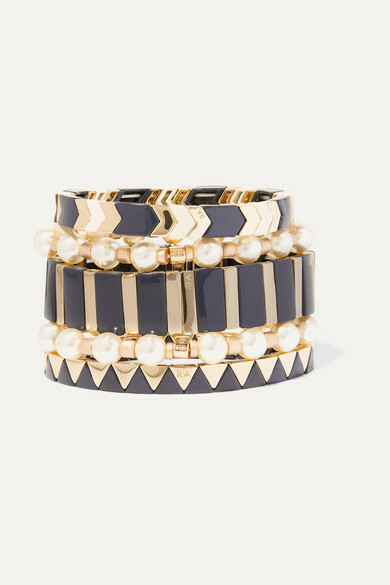 Wear them stacked together, or one at a time, depending on your outfit. Shown here with: R13 T-shirt, Maje Jacket, Jennifer Fisher Cuff, Isabel Marant Bangle, GRLFRND Jeans.